Nowhere, not even at sea, does a man feel more lonely than when riding over the far-reaching, seemingly never-ending plains; and after a man has lived a little while on or near them, their very vastness and loneliness and their melancholy monotony have a strong fascination for him. The landscape seems always the same, and after the traveler has plodded on for miles and miles he gets to feel as if the distance was indeed boundless. As far as the eye can see there is no break; either the prairie stretches out into perfectly level flats, or else there are gentle, rolling slopes, whose crests mark the divide between the drainage systems of the different creeks; and when one of these is ascended, immediately another precisely like it takes its place in the distance, and so roll succeeds roll in a succession as interminable as that of the waves of the ocean. 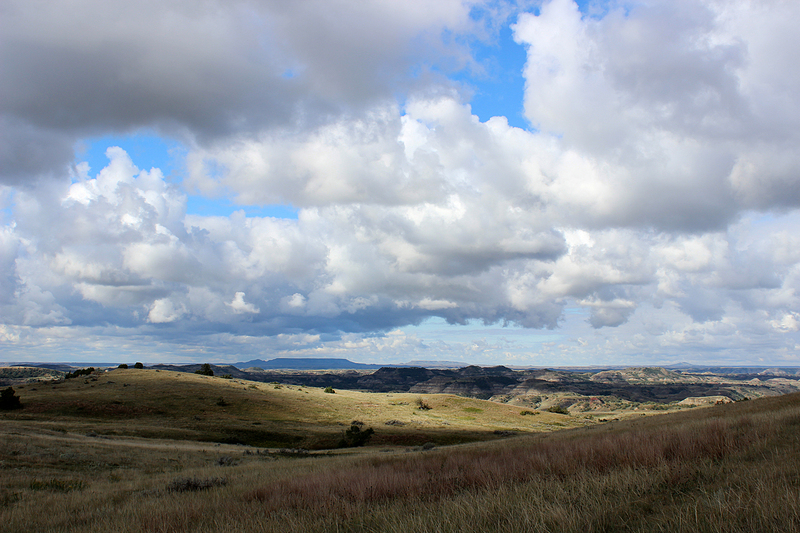 At more than 46,000 acres, the South Unit is the largest of the three units of Theodore Roosevelt National Park. 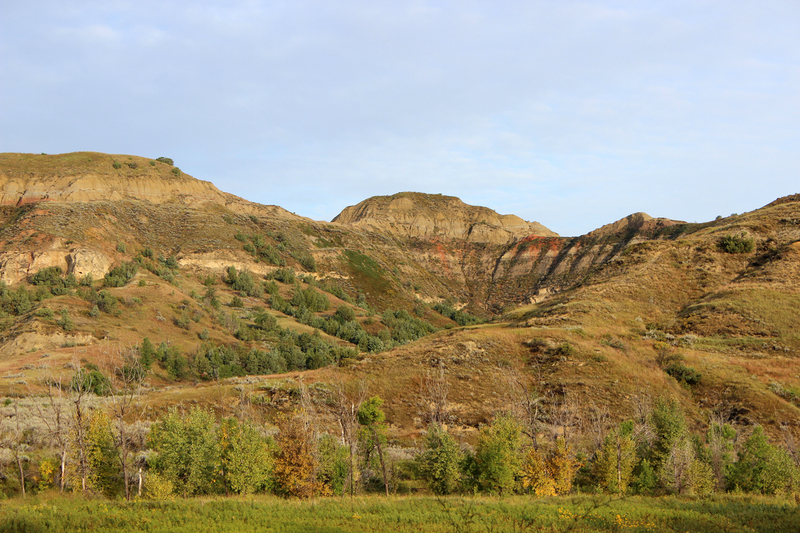 It lies immediately north of the town of Medora and I-94 and is therefore by far the most visited of the three. 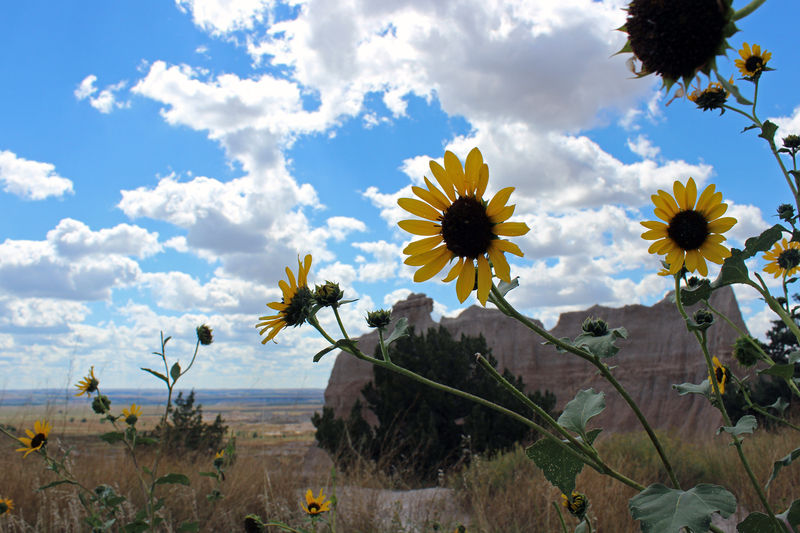 A 36-mile scenic loop road allows motorists from the interstate to easily take in the sites, grab a bite or some gas in Medora, and be on their way across the continent. 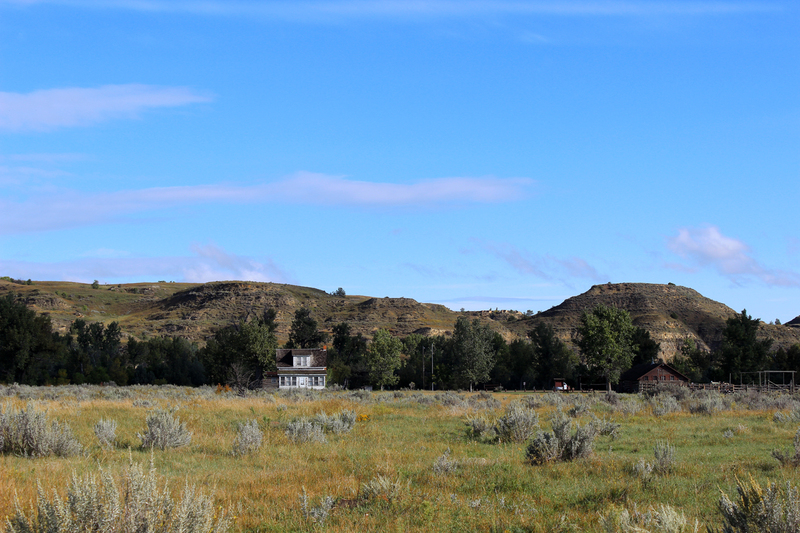 The loop road was the first thing on our agenda after breakfast on Thursday, September 11. This entry was posted in Journey and tagged Dakotas, North Dakota, Theodore Roosevelt on January 14, 2015 by Brandon Hayes. On September 10, 2014, after Sean and I completed our hike at Devils Tower National Monument, we were ready to head to North Dakota for the second half of our Dakotas adventure. We did, however, need to make a brief pit stop back in Rapid City. Sean had inadvertently purchased two tops and no bottoms for his new long underwear (necessary since the temperatures in western North Dakota were expected to dip into the 30s and the region was under a frost advisory). So back we went to Rapid City. This entry was posted in Journey and tagged Camping, North Dakota, Theodore Roosevelt on January 6, 2015 by Brandon Hayes.